When confidence meets parenting everybody wins. Take the first steps to feeling like a rockstar parent. Yes To a More Confident Me! Your child’s room strangely resembles Berlin after it fell to the Allied forces. When you take a step inside you are walking on eggshells and toys and clothes and everything else. Clothes are strewn about in wild abandon as pretend play props, LEGO bricks, and art supplies keep sentry through the chaos. You are ready to tear your hair out, and the whole carpet while you are at it. You’ve had this fight before, and the mess always wins. You lie to yourself that it’s not too bad. You just keep the door closed and try to ignore the noxious odors and artwork oozing out of every corner. And then your innocent/nosy friend comes over. You pray that the door will stay closed by the time you both pass through the hallway. Then your child offers a guided tour of every room in the house, starting with their own unique treasure trove cave. Your cheeks get red, you mumble some excuse about the mess, and you suddenly feel like the world’s most incompetent housekeeper. What if there was a better solution? Would you be willing to try it? 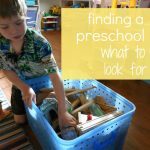 And no, it doesn’t involve getting rid of every toy in sight or pretending you have Selective Juvenile Induced Clutter Amnesia. We’ve been there, and we’ve tried it all. No shame here, just some common sense advice for getting your kids to make their rooms less of a crime scene and more like something out of IKEA. 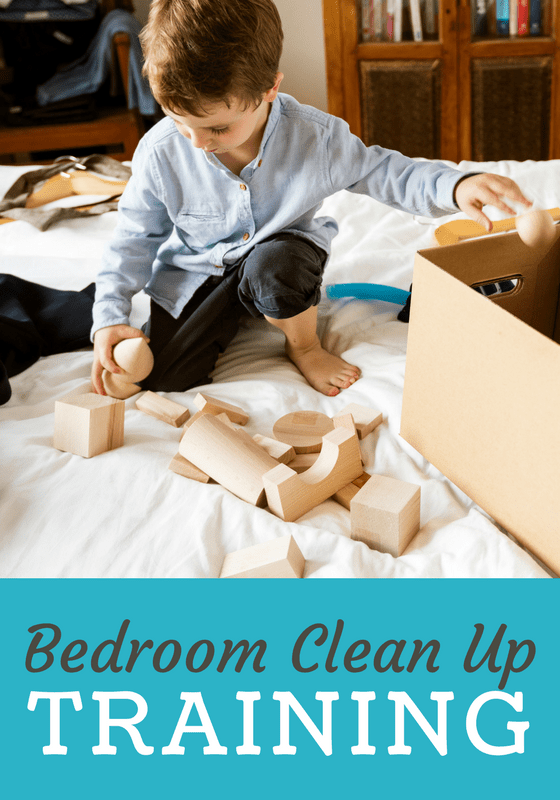 We have broken cleaning down into simple steps, completely doable by just about any child. It’s a five step process that is just as much about clearing the clutter as it is keeping the cleanliness factor sustainable in a world of mass produced toys and clothes that keep reproducing. “So what’s the catch?” you’re probably wondering. Well, it means you have to let go of your adult love of details and focus on the bigger picture. Have your child take off all the toys, clothes, leftover food, candy wrappers, flashlights, books, and anything else that might be inhabiting his or her bed domain. I know this might seem counter-intuitive, but trust me on this one. Once the bed is clear of debris, have your child make the bed. It’s amazing how much easier it is to make a bed when you don’t have additional items on top. Once the bed is clean, celebrate by eating a few chocolates from your stash, and rejoice at one part of the room being actually honest-to-goodness clean. Once the bed is made, give your child a basket and have them go around the room gathering clothes from the floor, tops of drawers, etc. It doesn’t matter if the clothes are clean or dirty, put them all on the bed. “Wait a minute. Are you nuts? Didn’t I just score a major victory by having my child clean their bed? Now you want me to put stuff back on top of it?” you complain as you reach for the last of the chocolate bon-bons. You’ll have to trust me on this one too. It will all make sense when you get to the last step. Resist the urge to sort laundry, as difficult as it might be. Better to keep things simple, or you will lose your child’s attention quickly. This is the time to be glad you had all those extra organizing containers that you bought but never used. Today is that “someday” when you thought you might need them. Now that the clothes are off the floor, you can divide the remainder of items left on the floor into two categories. One is the “does not belong in my room” category and the second category is “definitely belongs in my room.” Have your child pick up every item on the floor that belongs in their room and have them place the item in or near where it belongs. The remainder of items on the floor should be put in another basket and placed outside their room. As tempting as it might be to suddenly occupy your house with these newfound belongings, resist the urge. This can wait. Once you step away to focus on something else, your child’s attention will wander as well. Children have a way of sneaking away when they are supposed to be cleaning that could rival even a top ninja master. Now, the moment you’ve been waiting for – biohazard removal, a. k. a. taking out the trash. Grab a sturdy lined garbage can and fill it with whatever is left on the floor. You will still need to vacuum, but hey, you’re almost there. There are only two possibilities for clothes in this world – clean or dirty. How your child assesses them is up to you and how skilled they are at hazmat removal. You could try the sniff method, but beware that any child that has crossed the threshold into puberty has lost their sense of smell. Probably a quick visual test would be the safest, and maybe the most hygienic too. For any clean clothes, have them hang up the clothes or put them away in their dressers. Congratulations, you made it through the process alive. Jenny Benedetti is a successful entrepreneur and founder of iQ Cleaning. Her business is one of the most popular house cleaning companies in the Washington D.C area. She is a deep believer in teaching children from a young age, strong organizational and cleaning habits so that they can thrive later on in life. Jenny also likes to enjoy her free time by spending it with her loved ones, volunteering in her community and blogging about topics that she is passionate about. 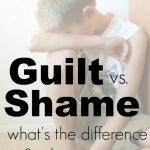 What’s the Difference Between Guilt and Shame? I'll show you the mom you really are. I'm Jill Riley. I have a son and a daughter (both in the tween years), a very handsome hubby and the laziest puppy ever! Building confidence in other parents (and myself) is my mission. Copyright ©2019, Confidence Meets Parenting. All Rights Reserved.